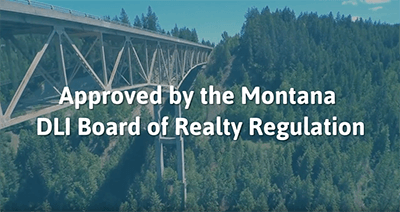 The Montana Board of Realty Regulation has approved this course for 3 Hours of Risk Reduction continuing education Credit. The course will include topics under real estate agent safety such as identifying threats, preparing a property before the showing, and liability and liability insurance. First the student will learn about identifying threats, then general safety considerations, what to do before the showing, how to handle the showing itself, and lastly liability and liability insurance.